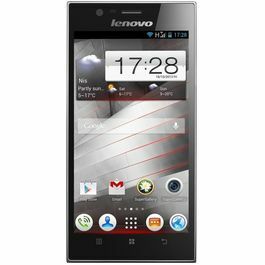 Now, watching movies will be fun with this brilliant smartphone- Lenovo A7000 Turbo. This phone has a dazzling display with a Full HD screen. Every image will come alive in 2 million pixels on the screen. Also, it features 401 ppi OGS IPS display which will allow you to see visuals in their truest colours and finest details. Multi-tasking will be easy with this phone. This phone is equipped with 8 ARM Cortex A-53 processors, coupled with the ultra-fast 2GB DDR3 RAM that makes sure that the phone reacts to every speed of light every time it is swiped. Also, it runs on the operating system Android 5.0 (Lollipop) with Vibe UI 2.0 which helps you to access your favourite games and apps easily from Google Play Store. You will be able to get an amazing 360 degree sound experience. Audiophiles will fall in love with the music quality when he/she puts on the headset which will immerse you in the world of mellifluous sound. Watching videos will be also a real treat on this smartphone. This phone is equipped with a front camera of 13 MP with f/2.0 aperture, intelligent dual-led flash and the unique beautification feature that helps to capture stunning images. If you are a selfie lover, then too this phone is a bundle of surprise with its 5 MP selfie camera. Connect with your friends and family with 4G connectivity. This phone supports dual SIM slots. Also, there are other connectivity options like Wi-Fi 802.11 b/g/n, A-GPS support, Micro USB, v2, OTG Compatible and other such options. There is a 16 GB storage capacity, which is expandable up to 32 GB. So, with this smartphone you will be able to carry 3D games, all your favourite apps and the entire season of your favourite TV show in HD. The battery capacity is 2900mAh which gives you 36 hours non-stop talking time. So, relax on a couch, enjoy playing games, watching videos and be on social media without having to worried about the charging point now and then. 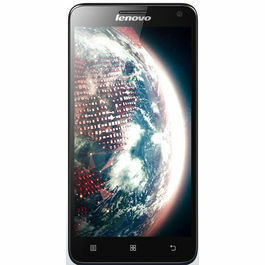 Lenovo believes in the word committment by delivering products and services as they claim to be. They define their philosophy in simple words, “We Do What We Say...We Own What We Do”. 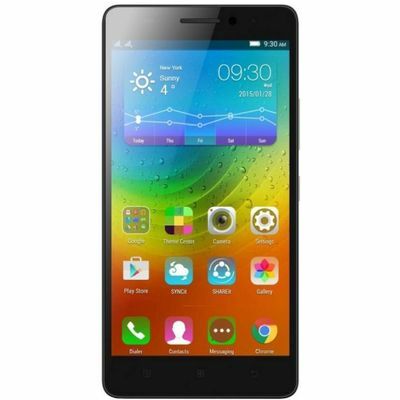 Lenovo A7000 Turbo was launched in January 2016. With its smart performance, it has won the hearts of many. 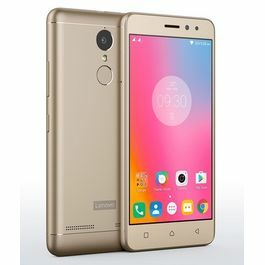 Scroll down to learn more about its interesting features..........Design and Display Now, watching movies will be fun with this brilliant smartphone- Lenovo A7000 Turbo. This phone has a dazzling display with a Full HD screen. Every image will come alive in 2 million pixels on the screen. Also, it features 401 ppi OGS IPS display which will allow you to see visuals in their truest colours and finest details.Processor and OS Multi-tasking will be easy with this phone. 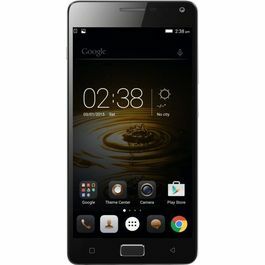 This phone is equipped with 8 ARM Cortex A-53 processors, coupled with the ultra-fast 2GB DDR3 RAM that makes sure that the phone reacts to every speed of light every time it is swiped. Also, it runs on the operating system Android 5.0 (Lollipop) with Vibe UI 2.0 which helps you to access your favourite games and apps easily from Google Play Store.Multimedia You will be able to get an amazing 360 degree sound experience. Audiophiles will fall in love with the music quality when he/she puts on the headset which will immerse you in the world of mellifluous sound. Watching videos will be also a real treat on this smartphone.Camera This phone is equipped with a front camera of 13 MP with f/2.0 aperture, intelligent dual-led flash and the unique beautification feature that helps to capture stunning images. If you are a selfie lover, then too this phone is a bundle of surprise with its 5 MP selfie camera.Connectivity Connect with your friends and family with 4G connectivity. This phone supports dual SIM slots. Also, there are other connectivity options like Wi-Fi 802.11 b/g/n, A-GPS support, Micro USB, v2, OTG Compatible and other such options.Memory and Battery There is a 16 GB storage capacity, which is expandable up to 32 GB. So, with this smartphone you will be able to carry 3D games, all your favourite apps and the entire season of your favourite TV show in HD. The battery capacity is 2900mAh which gives you 36 hours non-stop talking time. So, relax on a couch, enjoy playing games, watching videos and be on social media without having to worried about the charging point now and then.